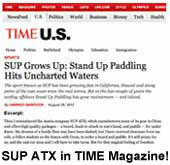 SUP ATX Race Fin | Color: Red Honeycomb/Carbon Fiber | Length: 9.25" | FREE SHIPPING! 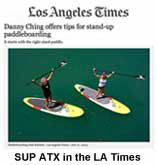 This is a great fin for almost any SUP board. This fin makes for straighter tracking and is the best fiberglass-honeycomb fin on the market at this low of a price! Fin installation is very simple with our "SUP BOLT" fin installation kit that comes with all our fins. No tools required! Free Shipping in Continental US. 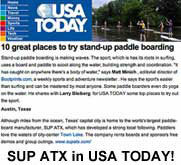 Watch our SUP BOLT Installation Video. 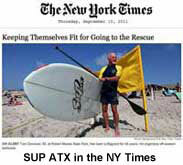 This is a great fin for almost any SUP board. 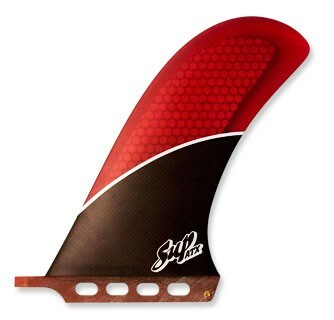 This fin makes for straighter tracking and is the best fiberglass-honeycomb fin on the market at this low of a price! Fin installation is very simple with our "SUP BOLT" fin installation kit that comes with all our fins. No tools required! Free Shipping in Continental US.